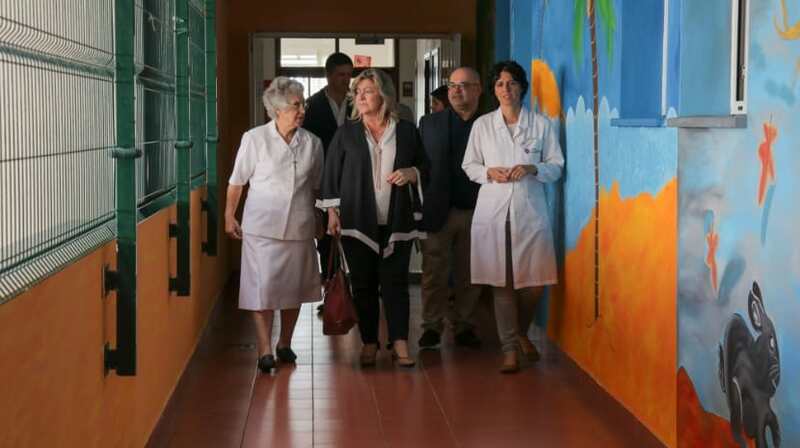 The Regional Secretary for Inclusion and Social Affairs, Rita Andrade, today visited the facilities of Casa de Saúde Câmara Pestana (CSCP) accompanied by the Directorate of this Private Institution of Social Solidarity. The governor took the opportunity to meet on the spot the services of Casa de Saúde, namely the psychiatric internment units, the Intellectual Deficiency intervention unit, Psycho-geratology and Psychosocial Rehabilitation. At the occasion, the Regional Secretary praised the “conditions of excellence” of the CSCP and also stressed that this institution has been “a real added value and a fundamental partner” in the provision of differentiated and humanized care with regard to mental health issues and psychiatry.